We want you to be pleased with your purchase and continue to be our customer for many years to come. On purchases of regularly stocked merchandise if, within the first 7 days, you are not satisfied, please notify us and we will do everything possible to quickly resolve your concern. We will, with discretion, repair, replace, or accept “like new” stock merchandise for a one-time reselection or return for full refund (less original delivery fee). A delivery fee will be charged for the delivery pick up of returned merchandise. Refunds will be issued within 5 business days in the original form of payment. Cash payments will be refunded by check. Refunds of check payments will be issued a minimum of 5 business days after receipt of the initial payment. Cash and check refunds will be issued to the individual(s) listed on the sales order. Merchandise not in “like new” condition (defaced, abused, neglected or similar mistreatment) will not be accepted for return or refund. Some conditions that will prevent an item from being returned include, but are not limited to: odors, pet hair,stains, etc. Note: refund, exchange or reselection does not apply to special order merchandise, Sauder items, delivery fees, ready-to-assemble, close-out or outlet merchandise, pillows, select mattresses, sheets, mattress covers and adjustable bases. 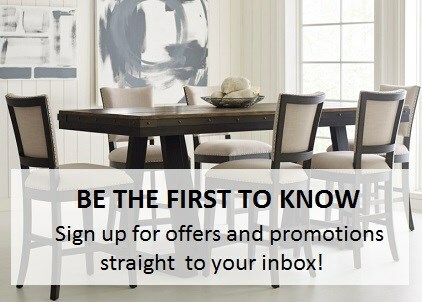 Occasionally Becker Furniture World has a promotion which advertises a free gift or item (gift card) with purchase. If you choose to use the Comfort Guarantee you will be credited the price of the merchandise less the retail price of the free gift or item. Your free gift may be returned for a full credit if in original packaging and unused. We guarantee to have the lowest prices in Minnesota on any product we sell. 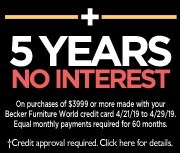 If, within 30 days of purchase, you find an identical item displayed or advertised at a lower price at any Minnesota full-stocking furniture or mattress retailer, we will, upon verification, refund the price difference plus an additional 20% of the difference. Looking for information on your Becker Mattress purchase? 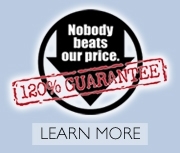 Visit our Mattress comfort guarantee page.